Do you want to improve your ranking in Google? Are you interested in climbing up the ladder of ranking by earning all the vital links? The relation of the link and the authority that directs a person to your website is known to be one of the essential factors that can upshot your ranking in Google. However, it is very important to understand the procedure through which you can achieve the important links to direct to your website. The content of your website should be worthy enough for links to be pointing towards your website. Quality content is important because most of the customers prefer reading articles about a product or service they are about to purchase rather than procuring information through advertisements. The customers are also of the view that brands which display quality content on their website want to build up a good relationship with their customers. Google algorithm also prefers content that are of high quality. 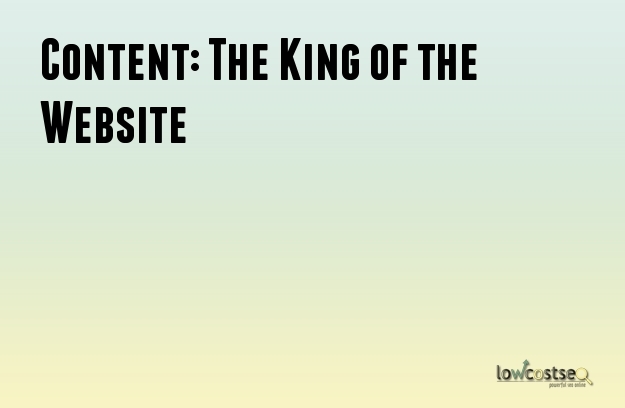 If website content is of poor quality then the website can be pushed down the ranking. Plagiarizing the content of the website. When the contents of the website are copied from some other website it can put your contents at stake. When the user experience is not favorable. If the readers get exasperated navigating through the content they might not return back to the website which will reduce the traffic of your website. Stuffing the content with keywords and making the content monotonous for the readers. Link-baiting that ultimately leads to content which is of low quality can be fallacious for the brand name. When the content has grammatical and spelling mistakes. Not providing enough information leading the customers to be infuriated. You should hire expert writer to write the content of your website. Professional writers are capable of writing content which are stylish and accurate. They also make the content unique and interesting for the readers. If you plan on writing the content yourself it can have an adverse effect on the brand name. Try to identify the kind of content that is suitable for your business industry. There are different pieces of software that are available for this. You can plan strategies for creating your content. Keep a check on the content of your competitors and create your content accordingly. You can use auditors to audit the content. This gives you information about the data that are effective for your website. Hire an editor if needed to make sure that your content does not have any kind of grammatical errors. Writers with years of experience tend to miss out on minute errors. It is a challenge for you to consistently create contents that are of a high quality. You are several options in front of you to create quality content. The main type of your content your brand should be producing are blogs, infographics, web pages, video contents, press releases etc. the information that you intent to deliver to the customers should be very clear through your content.